Time flies when you’re having fun, so they say. 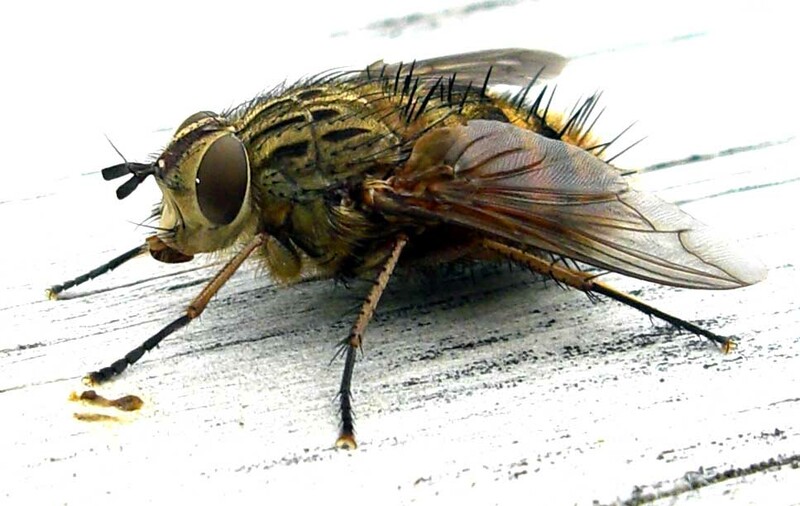 Now flies can feed the instrument that keeps up with time. That’s right, there is a fly-eating clock. Inspired by the carnivorous venus flytrap plant, the digital timepiece is not your average Timex. It uses a honey-drenched strip to attract the pests. Once they fly in and get stuck on the sweet-smelling and sticky rotating belt, the bugs get stripped off and fall into a microbial fuel cell that transforms them into the energy that powers the digital clock. Created by Bristol Robotics, the clock is just one of five prototype robots that use nuisances such as insects and rodents to power their functions. Among their creations is a table that eliminates mice and a lamp that is fueled by flying insects. Who needs an exterminator when your furniture can wipe out the pesky invaders? NPR’s Robert Krulwich has his own take on the future of household robots.